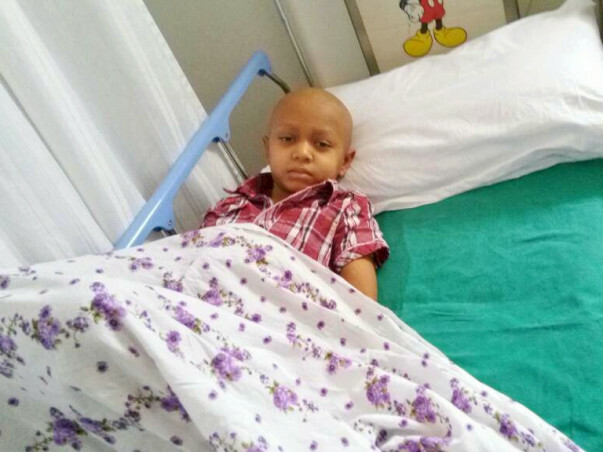 Tanush is a 7-year-old who has been diagnosed with bone cancer in his left leg – over the knee. He needs chemotherapy followed by a surgery that will remove the cancer. His mother Geeta has quit her job to take care of Tanush. 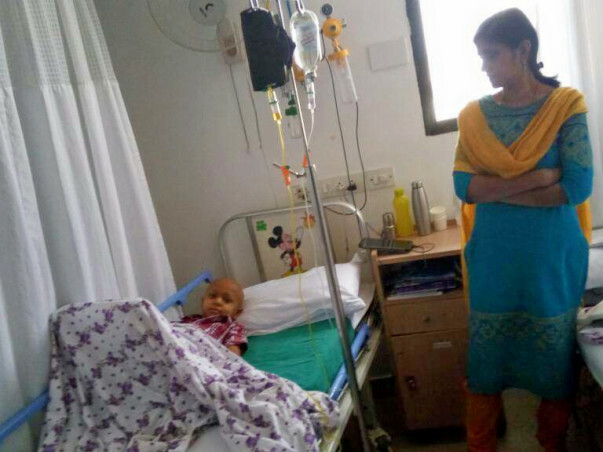 After her late husband's cancer treatment, she has no savings left for her son's treatment. 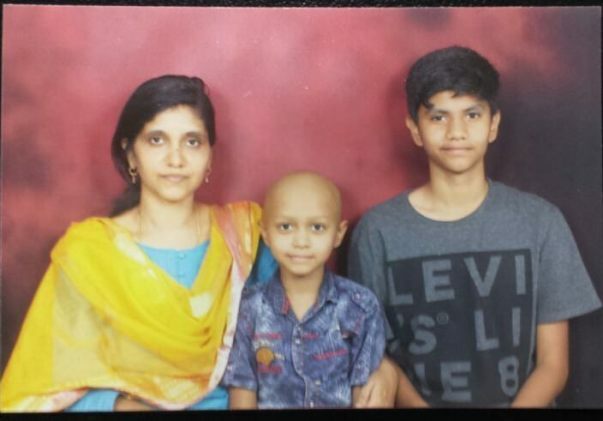 Tanush and Raghavendra lost their father Bharath to colon cancer in 2014. Tanush was only 4-years-old. He had been cancer-free for five years before it relapsed. In a few months, he succumbed to his cancer which had come back much worse than before. Just when the family was beginning to hope for good things again. Geetha moved close to her family where her siblings and parents could help her care for her children Raghavendra and Tanush. She got a job and started teaching English in a local engineering college. She sent her children to a good school nearby. Slowly and carefully, Geetha had started to put her life back together. But in December 2016, Tanush came home complaining of leg pain in his left thigh. 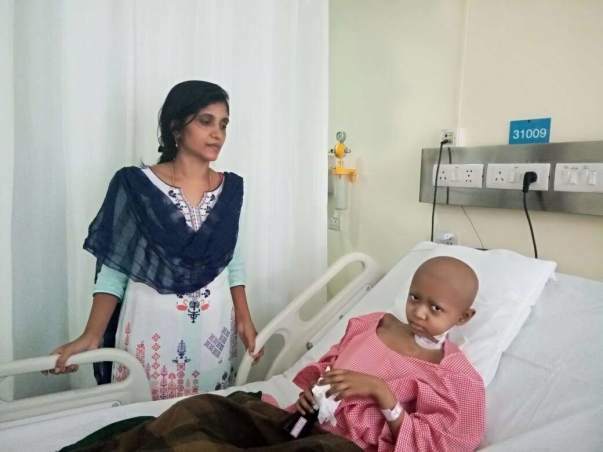 The family started their new year with the grim diagnosis that Tanush had osteosarcoma or bone cancer and he needed chemotherapy and surgery to contain the cancer. “When it happened, he was too young to understand. He was surrounded by uncles, aunts and grandparents giving him their full attention. But these days, he wishes his father were around. He thinks his father would not have let him fall sick,” says Geetha. Next week, Tanush will celebrate his eighth birthday. Raghavendra is writing his class 10 exams this month. Remaining strong is Geetha's only option. She is taking it one day at a time and doing the best she can for her sons who are her whole life. You can help this brave, strong mother make sure her son gets the treatment he needs. Contribute now and save Tanush and show Geetha that there is hope even in the bleakest of times. We just heard from the hospital that Thanush is no more. He passed away on 5th September 2017. The family is going through a very difficult time now, a detailed update will be posted soon. We hope they find strength in this time of grief. May Thanush’s soul find peace. Please keep the family in your prayers. 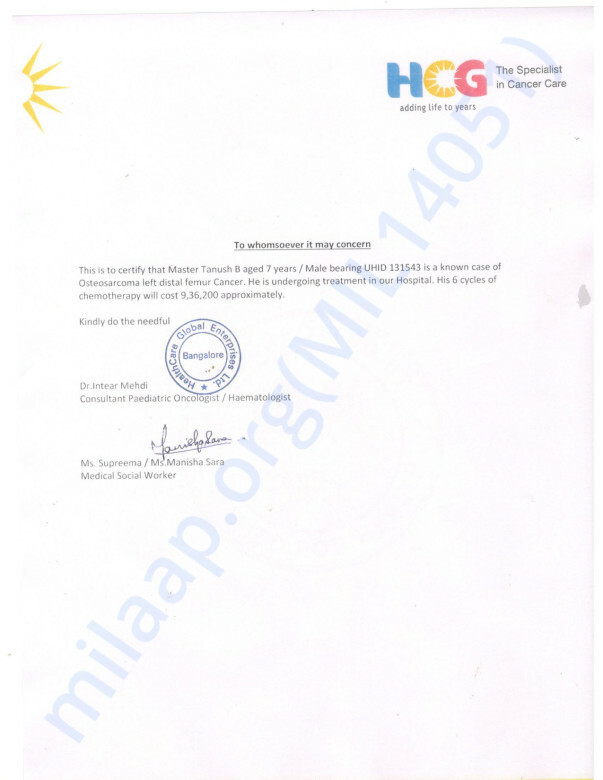 Tanush B has completed his two cycles of Chemo. 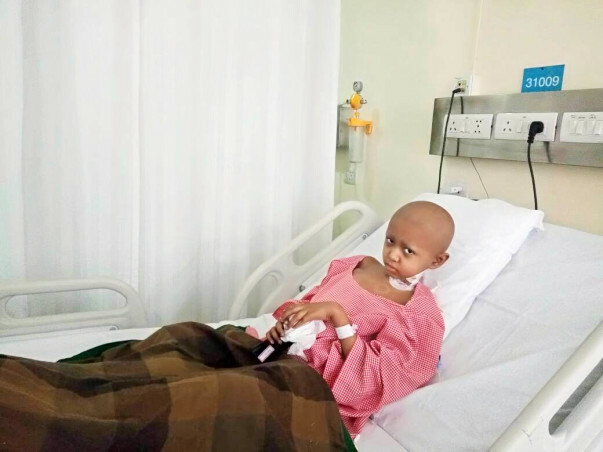 1st chemo has been done on 24th April and Tanush has been discharged on 29th April 2017. His second chemo was on 3rd May and got discharged after 4 days.